Portraits of the Lion and the Great She Elephant — King Mswati III and his mother — stare down from the wall of the immigration office. 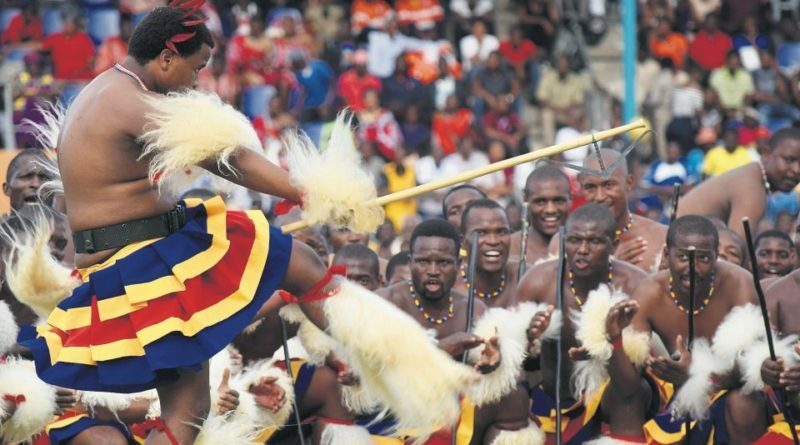 The animal print pattern of the king’s tribal dress seems a world away from the border-bureaucracy of entry stamps and customs forms, but it’s part of the dichotomy of traditional and modern that makes Swaziland so intriguing. Even the name “Swaziland” is out of date. 2018 marks 50 years of independence for this southern African nation, and on 19 April King Mswati seized the opportunity afforded during his speech at the Golden Jubilee — which happily coincided with his own 50th birthday — to tell the world that he was renaming his country eSwatini. The ‘e’ is lowercase. When you’re the last absolute monarch in Africa, you have that kind of prerogative. I’d arrived in Swaziland (as was) just one day prior to the 50:50 Celebration, the double jubilee — for king and country — which was the highlight of this year’s social and political calendar. As this tiny former colonial possession is only the size of Wales, and one-third the size of the neighbouring Kruger National Park, its tourist appeal is often eclipsed by South Africa, Malawi, Zambia, and Botswana. But 2018 is Swaziland’s year in the sun. A 50th birthday is a 50th birthday, and when two happen to coincide, that’s as good as a centenary. There are, as yet, no direct flights from the UK to Swaziland, but South African Airways has put its newest plane on the London to Johannesburg route, and from Jo’burg it’s only a short drive to the border. British passport holders don’t need a visa, and are stamped in and out as a matter of formality. Swazis have about as varied a relationship with their monarchy as we British have with ours. Some disagree with the birth-given right to rule, some are in favour, others are indifferent, but most seem to prefer the present institution to any alternative. Mswati is a hereditary ruler, having replaced his father in 1982. Interestingly, from an anthropological perspective at least, primogeniture does not dictate the right of succession in Swaziland. The king has many wives, chosen from different groups within Swaziland to build strategic alliances, and the crown prince is not necessarily the eldest son, but rather a prince who has no full brothers. His mother, therefore, might well be one of the most junior wives, as was the case with Mswati. Mswati is the child of two cultures. Born in Swaziland in 1968, he was educated at Sherborne School in Dorset, and in that sense has strong personal ties with the UK. During the 50:50 Celebrations, I had hoped to see him resplendent in his tribal regalia, just as he was in the official portrait on display at immigration. But in that respect I was to be disappointed. His red military uniform, replete with a gold sash and twinkling medals, was no doubt dazzlingly impressive, but it seemed geographically and, more importantly, culturally incongruous. Perhaps, to put a more positive spin on it, it’s his way of saying he still has a foot in both worlds. The speech Mswati delivered to the jubilant crowd before him in the main arena, not to mention the thousands more watching on their TV screens at home, was a masterpiece in diplomacy. In spite of his fluency in English, and the fact English is still an official language in Swaziland, he chose to address his people in the vernacular, allowing interpreters to share his message in English and sign language. The event’s guest of honour, the President of Taiwan, was evidently pleased by his entreaty to the UN to recognise Taiwan’s right to self determination, and to appreciate its significant political, economic, and humanitarian role on the international stage. Swaziland is one of very few countries to officially recognise Taiwan as the Republic of China, rather than a province of the People’s Republic of China, and has been handsomely rewarded for its solidarity with investment and aid. But the main announcement was yet to come. I speak not a word of Swati, to my shame, and so when the crowd first erupted in cheers, I hadn’t a clue as to the reason why. I had to wait a minute or two for the interpreter to catch up. Mswati’s surprise was his declaration that with immediate effect, Swaziland would be known as the Kingdom of eSwatini. It’s a much older name but the meaning is exactly the same: Land of the Swazis. Nyasaland, Rhodesia, Bechuanaland: they all gave up their colonial names at independence, choosing instead their own monikers. Swaziland bucked that trend, reflecting the warmer relationship that the country had — and still has — with Britain. In the days after the announcement, several foreign news sources reported that the reason for the change was to distinguish Swaziland from Switzerland. On the ground, and having listened to the speech, this seems ludicrous. Firstly, the two countries have little, if anything, in common, save a vague similarity in their names and the fact that they are both landlocked. Swaziland has a population of 1.3m people, GDP per capita is below $3,000, and life expectancy is just 56.91 years, largely due to the high rate of HIV/AIDS infection. Secondly, and more importantly, national identity is the foundation on which everything in contemporary Swaziland has been built. Language and cultural identity are inextricably entwined; why would the Swazis not want to rename their country in their own tongue? It’s a matter of national pride. Pride in their country and in their king — for many people they seem to be one and the same — was palpable throughout the celebrations, on the faces of performers and spectators alike. In the arena, wave after wave of dancers, singers, and drummers poured forth, performing with such passion and energy it was exhausting to watch. 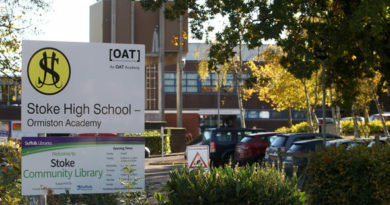 Majorettes and military bands gave way to troops of school children swing dancing and breakdancing, then there were tribal displays on an epic scale. 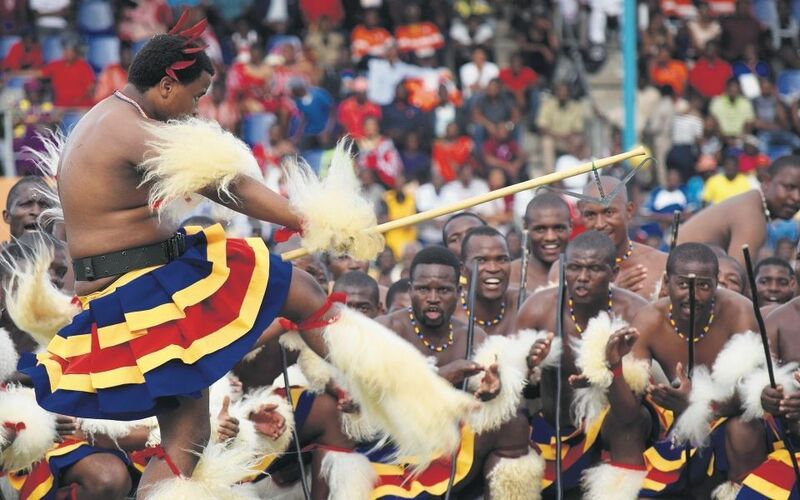 One of Mswati’s sons — the red feathers in his hair denoting his royal status — led an extended spectacle of stamping and high kicks that a Las Vegas showgirl would be proud of; thrilling for the crowds but no doubt intimidating on the battlefield, where these moves were first choreographed. Only the periodic fly-pasts of four stunt planes, two helicopters, and a passenger jet drew eyes up and away from the field. The celebration’s finale was a procession of an uncountable number of warriors paying their respects to the king. They’d sat along one edge of the field all afternoon in the heat of the sun, half a dozen men deep. But when they arose en masse and slowly began to march, I was transfixed. There were subtle differences in their dress, denoting to the experienced eye which groups they belonged to. Amongst the collection of shields and ceremonial sticks, I spotted an occasional trombone, a surprise given the context. The blasts from its horn added to the cacophony of noise, a peculiar — but somehow very appropriate — Swazi smorgasbord. ← Low-skill migrants vs. high-skill migrants – what do the terms actually mean and what is the impact?